Help engage children in developing motor and co-ordination skills whilst creating a fun, unique activity. 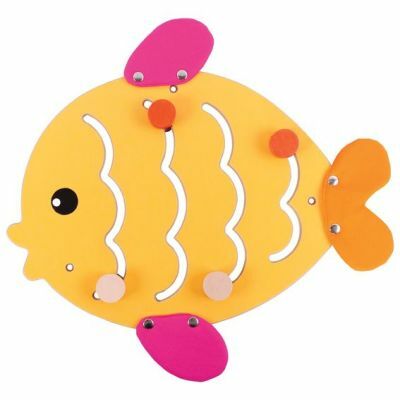 This amazing sensory panel in the fish theme can be easily attached to walls using the wall mountable play panels and wall fixings which are supplied. With easy grip handles, they can be moved smoothly through the panel. Fin and tail made from fabric and panels made from MDF. Suitable for ages 3+.